Discover all the latest free stuff for your home & garden right here. Keep scrolling and have a look! You'll be getting free stuff from brands like Ariel, Halfords, Persil and Emma Bridgewater in no time. Free Premier League Club Shirt - Ending Soon! 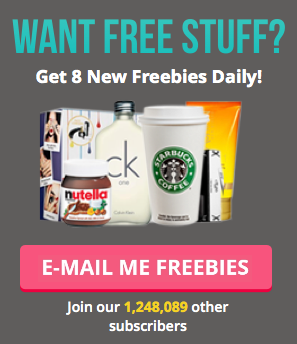 Don't miss out on short term freebies! You must use code jjww3 to get your £3 free credit. Free innocent Seed Kit - great for half term! Free Pair of Premier League Tickets - Brand New! Early Access to Holiday Deals! Win a Cadbury Hamper & Join Our Secret FB Group! Their customers save on average £390 every year! Cleaning can be annoying but getting the vacuum for free can help cheer you up no end. They've offering you the chance to test the brand new Dyson V8 for free. Great freebie and these look really good quality too! I find that you can never have too many pairs of headphones! If you've forgotten about Valentine's Day, don't worry, we have the perfect (free) gift! Get your Free Little Book of Love Coupons from us, the perfect pressie!